Photo from Bill Moss Jr. CD Release Party held at Seldom Blues Restaurant. Detroit, Mich. – ( March 17, 2008) – Gospel music greatness is in his genes. 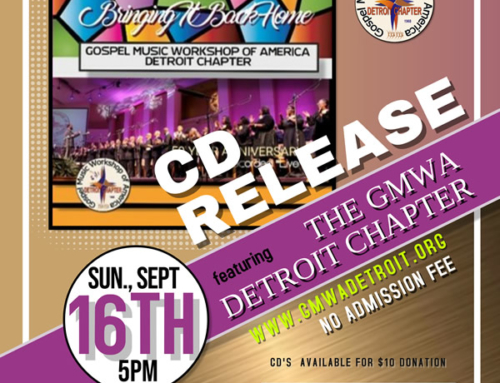 And, Detroit’s own Bill Moss Jr. is definitely walking in the gifts handed down to him by a family of legendary gospel music superstars. Behind the scenes, as a music producer, writer and director, the multi-talented Moss already has made significant strides on the gospel music scene. Moss has layers of talent within him and is now presenting more of his vocal abilities to the world with the release of his first solo project, Manifested Favor, an album produced by his production company, BMJ Productions and backed by Salathiel Records. A CD and Video Release Party was held in celebration of the album on Monday, March 24 at Seldom Blues, 400 Renaissance Center in Detroit. Manifested Favor was recorded live in Detroit. The album officially drops April 1, and can be purchased by calling Salathiel Records at (248) 552-7224. Bill Moss Jr. (named for his father the late Bill Moss Sr.) is proud of his family ties and Detroit roots. Moss began playing the piano at age five. The world first took notice that Bill Jr. had talent during a live performance of his parents, Bill Moss & the Celestials, a group that was formed in Detroit in the 1960s with his wife, Evangelist Essie Moss. Bill Moss Sr. was inducted into the International Gospel Music Hall of Fame in 2004. Bill Jr. honed in on his talents under the guidance of his aunt, the late Dr. Mattie Moss Clark, the mother of the world-renowned gospel vocal group, The Clark Sisters. Additionally, Moss served as National Chief Musician in the Church of God in Christ for five years and is currently Minister of Music at Christian Tabernacle Church in Southfield, Michigan, where Dr. James L. Morman is Pastor. Bill Moss Jr. has recorded professionally for top artists like Hezekiah Walker, Kelly Price, Karen Clark-Sheard, Byron Cage and J Moss (his brother). As a Music Director, Bill Moss Jr. has collaborated with Walter Hawkins, J Moss, Byron Cage, The Evereadys, Dorothy Norwood, Timothy Wright and T.J. Hemphill. He has toured internationally with his cousin Dorinda Clark-Cole and with his parents. He has proven to be an asset to all who he works with in the music industry. The last six albums he has worked on have received three Grammy nominations, 19 Stellar nominations, one American Music Award nomination and five Soul Train Music Award nominations.